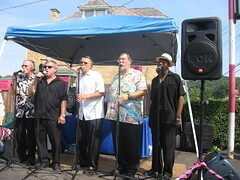 In 1961, a group of young men from Bishop Canevin High School in Pittsburgh, PA came together to form a band which they named the “El Reys,” Spanish for “The Kings.” Originator and lead singer Stush Bogdan, along with Chuck Black, Randy Riddle, Time Eyermann, Rick Jablonski, and Bill Marszalek started out performing at their own high school dances. As their popularity grew, they went to perform at other schools, colleges, hospitals, orphanages and talent shows. As good fortune would have it, Augie Bernardo of Ideal Records was at one of these talent shows, liked what he heard and saw, and signed them to the label. At this same show, the legendary Bo Diddley, who was performing at a nearby lounge, stopped in to enjoy the sounds, and invited the guys to hear his show. The El Reys went on to record four songs for Ideal Records: Angalie, Beverly, Diamonds and Pearls, and Rocket of Love. 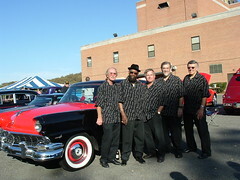 The group also appeared on the Clark Race television program, and in 1964 they opened for the Rolling Stones at the famous West View Danceland. Unfortunately, service in the Vietnam War put an end to their brief career. Now, after 45 years Stush Bogdan has re-formed the El Reys as an Acappella vocal group! 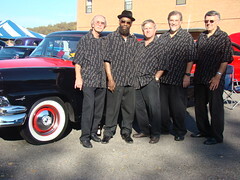 The current members are Stush Bogdan, Bill Leverette, Paul Durgam, Tim Steele and J.D. Merkel. Welcome to our ‘Second Act!’ We hope you enjoy the Show! The following are a few memorable links to our rich musical past.